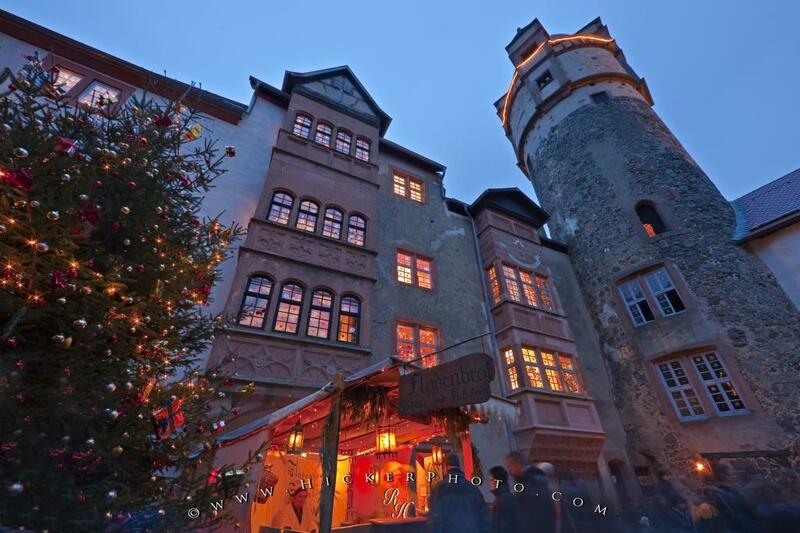 The glow of a market stall and twinkling christmas tree lights at the Ronneburg Castle medieval markets adds a romantic feel on a cool evening in the castle grounds. A warm glow is emitted from the castle buildings and tower which date back to the 13th century. 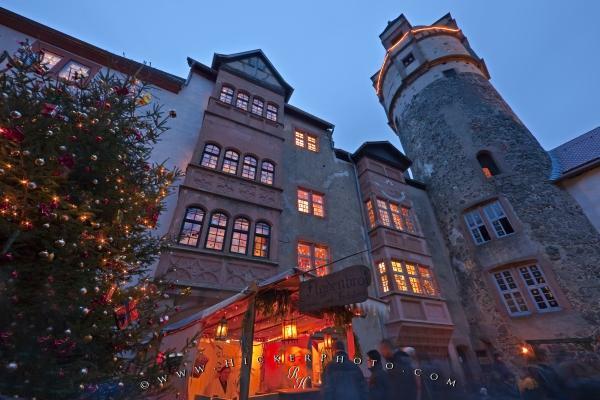 Each christmas the castle plays host to the medieval markets where locals dress in medieval clothing and don swords or other common 13th century weapons. The atmosphere is alive as people wander from stall to stall or stand and sip hot gluehwein or enjoy the taste of freshly roasted chestnuts. The Christmas Medieval Markets run for the duration of the advent period. Photo of a christmas tree and a stall at the Medieval Markets at the Ronneburg Castle, Hessen, Germany.